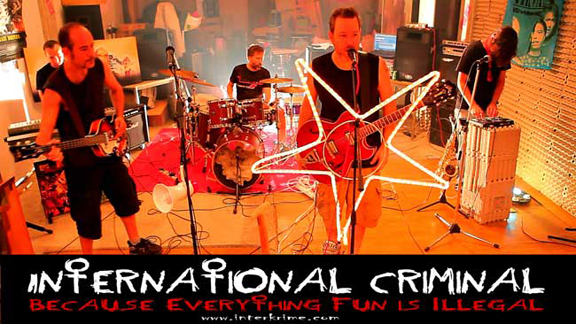 International Criminal is a four-piece alternative rock band based out of Madrid, Spain. Initially a solo, hip-hop inspired project by founding member Jason Hill, the band's sound quickly transformed into a more rock oriented approach. The sound continues to evolve, as the band refuses to be pigeonholed into any one genre, instead choosing to push the boundaries of their skills and influences into new territories with every new track, touching on such diverse genres as western, stoner, reggae, soul, prog-rock, junkanoo, americana and funk.